The SEC is concerned about the "accuracy and adequacy" of the information The Crypto Company is giving customers. 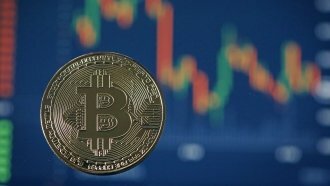 The Securities and Exchange Commission has suspended trading by cryptocurrency business The Crypto Company. The SEC said it has concerns about "accuracy and adequacy" regarding company information and "potentially manipulative transactions in the company's stock" last month. Shares for The Crypto Company, which deals in currencies like bitcoin, increased by 160 percent since Dec. 14. Bitcoin is a popular but poorly regulated currency, and some say companies are taking advantage of that. The Crypto Company's market value rose to more than $11 billion this month. For context, that's more than the values of better-known brands like Macy's and Under Armour.